A best collection for all times to gift someone you love! We know that Christmas is a time to celebrate and give gifts. Today we presents with the special edition list, but this time is about the best accessories to give on these dates to give you several ideas to make your gift fun and original. The list consists of professional devices, entertainment, accessories for cameras and smartphones, and many more. Every one love to shoot or create a memories of any occasion or party. These collection is an option for yourself or take advantage of the time to buy your desired accessory. Know the features, prices and where to buy each device. Take note and discover the best Christmas gifts! There are many gift ideas in the holiday season, and there are special offers. However, the numerous of options and appealing offers makes it difficult to decide. Therefore, the first thing you must do is organize yourself, know the tastes of the person to whom you give and establish a budget. Some gift ideas are a camera or a photo accessory. In case you do not have the necessary budget or just want to give something original, opt for an accessory. Remember to gift one that fits the needs and style of that specific person. Today we arrange a special collection where the best accessories for Christmas 2017 too. Its purpose is to facilitate the choice of the perfect photographic accessory in conjunction with its characteristics, prices and where to buy them according to your country. The list consists of eight different accessories like professional devices, entertainment, accessories for cameras and smartphones, and many more. They are designed for different users because they are simple and fun to use. Like the cameras, they are also well-known brands with incredible prices to fit your budget. Drones are a part of professional photography in a more creative and innovative way. This time we present the Hover Camera Passport, a drone designed for entertainment, due to its easy handling. 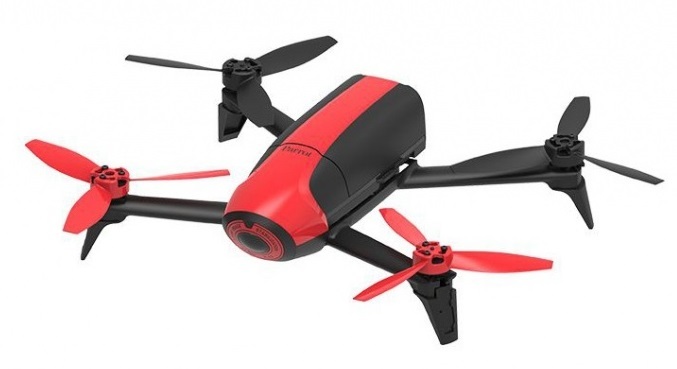 The unmanned aircraft has a 13-megapixel action camera, which captures high-resolution photographs (4208 × 3120), 360-degree panoramas and 4K video recordings. The Hover features face detection technology to maintain sharpness and body tracking technology to follow the user anywhere. It is handled by an iPhone to control the flight from the screen of the mobile device. This drone is characterized by its flight because it seems that it was floating in the air. In addition, it can reach a maximum altitude of 2000m and fly at a speed of 8m / s (17mph). In addition, its design is book-shaped with two foldable wings (each has two propellers) and is resistant against impacts. The Hover Camera Passport is priced at around $ 600 USD and you can buy it at gethover.com. The favored device of all smartphone with a grip ready to photograph. The same is the Pictar camera grip, a grip for IPhones (4, 5 and 6, except the 6 PLUS) that fits any user, due to its functions. This grip offers a simple and economical choice of a professional camera. This is due to the combination of trigger functions (trigger, zoom ring, selfie button, exposure wheel and smart wheel) and its stable grip design. In addition, it contains an ergonomic grip that allows to keep the smartphone fixed to capture sharp pictures. 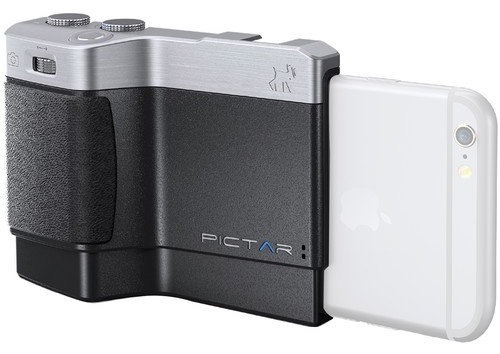 It also has a flash shoe and tripod connection to take advantage of Pictar to the maximum. The Pictar camera grip is priced at $ 100 USD and you can get it at amazon.com. Take advantage of your special combos! 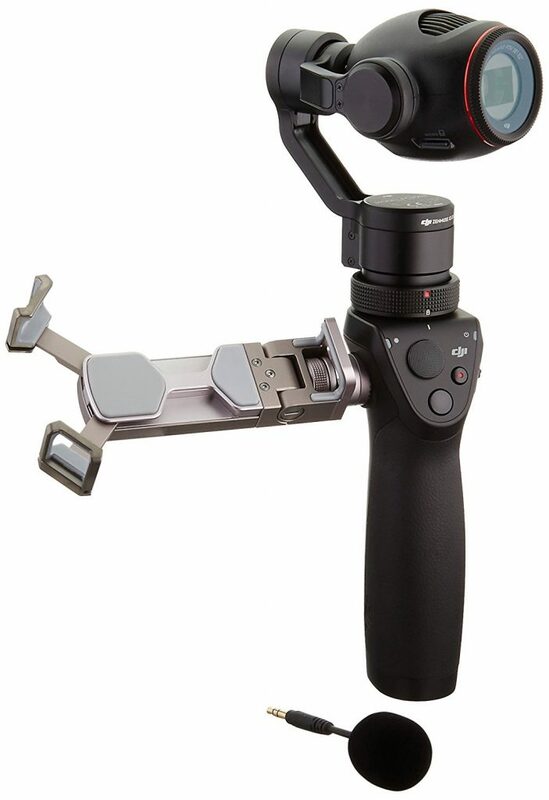 One of the best photographic accessories of this year is the DJI Osmo +. A portable camera stabilizer with functions that guarantee better image quality, better performance and ease of use. The camera has a built-in 12.40-megapixel Zenmuse Z3 and 7x zoom (x3.5 optical zoom and 2x digital zoom). Its maximum stability allows to record videos in 4K to 30fps and in 1080p to 100fps. Its functions facilitate its use because it contains a three-axis image stabilizer to capture clear images. In addition, it has a wheel to handle the zoom and offers different modes of captures like time-lapses, selfies, panoramic and long exposure. 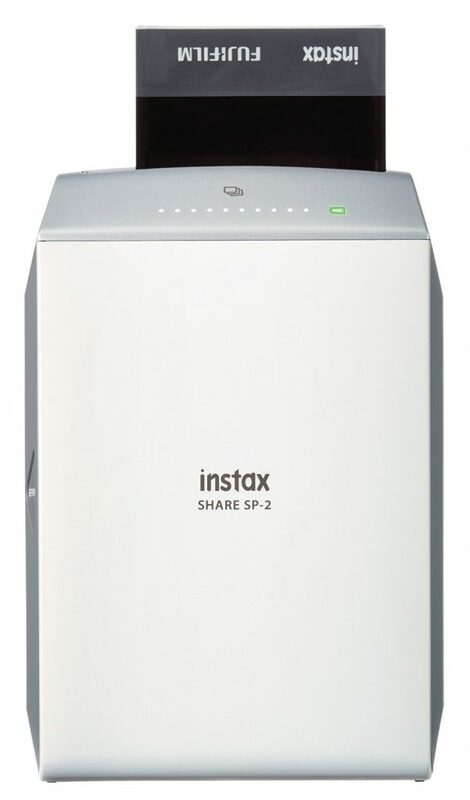 Fujifilm evolves instant photography with its mini printer, the Instax Share SP-2. This small portable device is perfect for gift giving because it gives an easy and quick impression. The photos are printed with high resolution of 800 × 600 dots and in only 10 seconds. The mini printer is an improved version as it adapts to the technology thanks to its connection, design and editing options. You only need to download the Instax Share app to connect using an Android or iOS device. With the application the user can select several options of filters, templates and collages to easily edit the images. Its design is modern, small and light, and comes in gold and silver. The following equipment Hasselblad True Zoom, which is characterized by transforming the mobile device into a powerful digital camera. 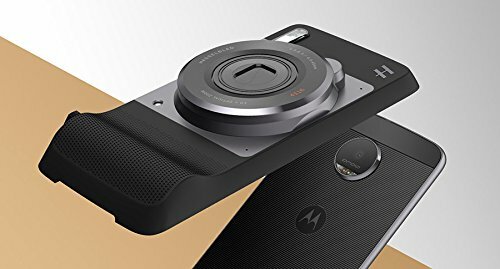 Its operation is based on the connection of the accessory with the Motorola Moto Z, where the functions are controlled from the screen of the smartphone. The computer has a 12 megapixel BSI CMOS image sensor to capture high resolution images and record Full HD videos. Also, its optics has a 10x optical zoom to zoom in without losing quality. It also offers different modes of use (capture mode, focus mode and professional mode) and functions to enhance images (aperture, focal length, white balance and ISO). 360 ° photographs and videos are the most popular content of recent years and Ricoh has joined this innovation. 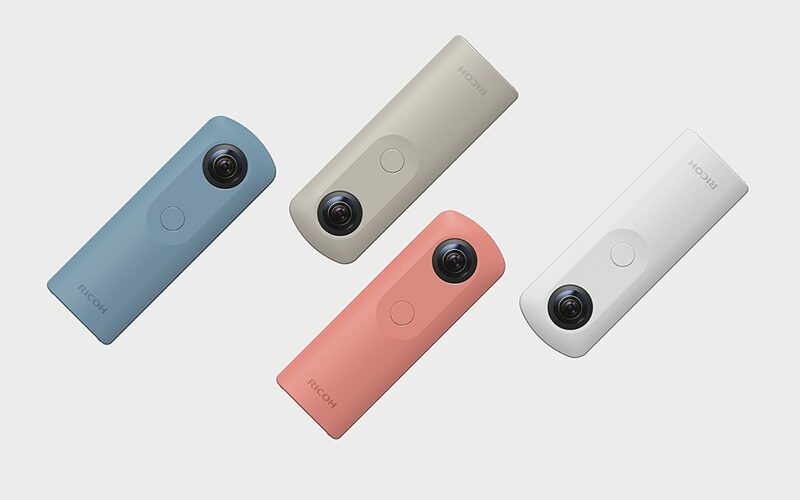 The Ricoh THETA SC is an aspherical camera device that captures images with that viewing angle in a simple and fun way. The small team has two aspherical 14.5MP lenses, each of which can record 180 ° content for a 360 ° result. 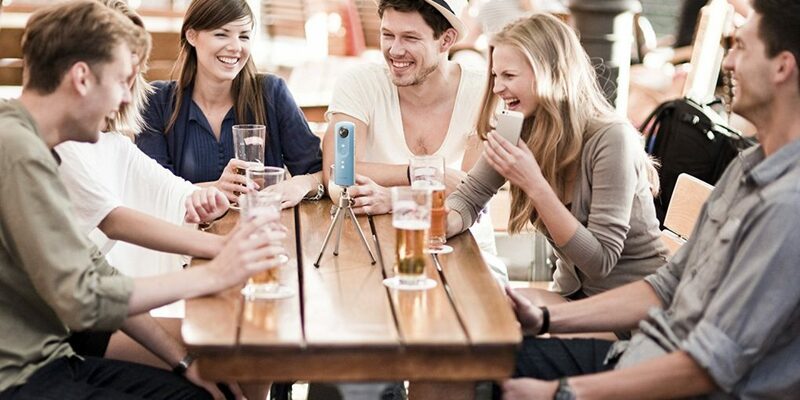 Its shutter lets you quickly shoot and record five-minute videos. The design is modern, small and comes in pastel colors like blue, beige, pink and white. Apart from aspherical lenses, it also has shutter button (shutter release), power button, wireless function button and capture mode button. Currently, one of the favorite accessories or “toys” that is drone maneuver by remote control. This year (2017) the Parrot Bebop 2 FVP includes new enhancements for greater control and a high power design. The aircraft has a wide-angle lens with a 14-megapixel CMOS sensor and features a three-axis image stabilizer system to ensure the stability of Full HD videos. The Bebop 2 stands out for its stability and fluidity in flight. It can also fly for up to 25 minutes and reach fast speeds of 60km / h in horizontal, and 21km / h in vertical. The drone is controlled intuitively, either from a smartphone or tablet. Its connection consists of an improved application, which contains functions of visual tracking, GPS locator and a barometer. 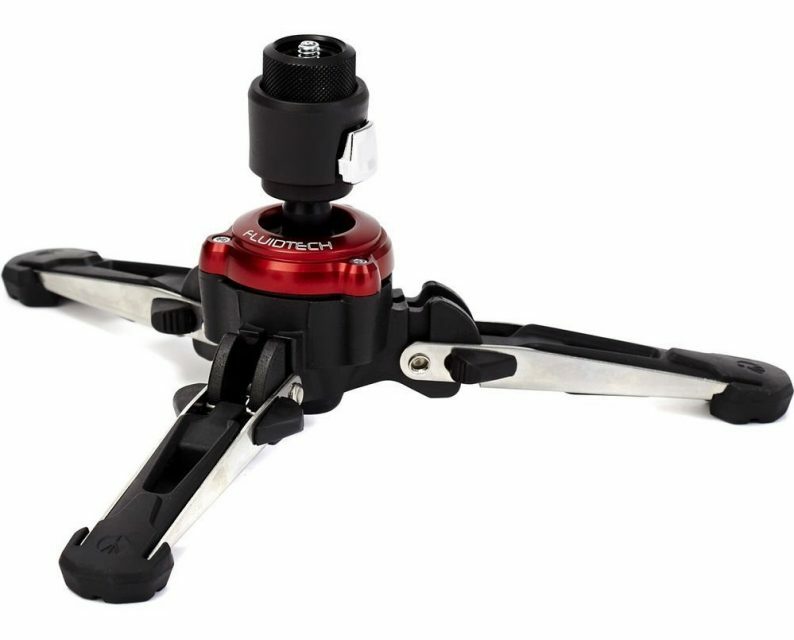 One of the best accessories this year is the Manfrotto FluidTech base. The base stands out for its excellent quality, versatility and for being a support for cameras. The FluidTech connects or screws to an XPRO video monopod to ensure and provide stability to the camera. The attachment fits perfectly to the monopod, due to its 1/4 “and 3/8” screw attachment. The base has a spherical system so that the XPRO monopie can be tilted, rotated or blocked to avoid movements and, in turn, provides a soft cushioning. In this way, you can experience recordings with twists, inclinations, different angles or panoramas without annoying movements. Its compact design is made of steel and its legs are made of aluminum with rubber edges on the ends. The legs can also be folded up to vary the movement of the camera or to facilitate its transfer. The Manfrotto FluidTech has an approximate cost of $ 100 USD and you can get it in amazon.com. We hope that our list of collection will be the best part of gifts. Take advantage of the year-end special prices and hurry before the devices run out. Remember to gift a photographic accessory that fits your budget and the style of the person who receives the gift.